Est. 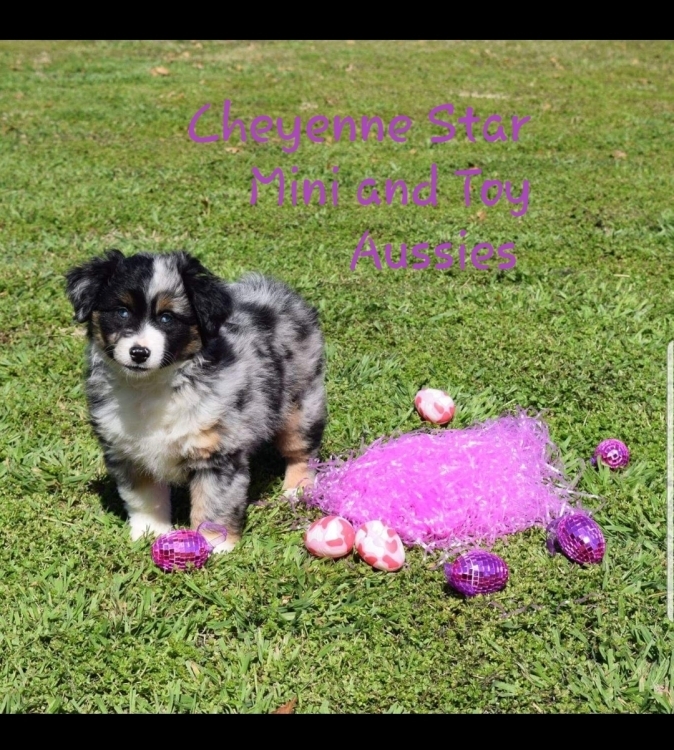 in 2006 from proven bloodlines from a kennel that had been in the business for 12 years,because we love them and thats all we raise,not like many of these "breeders" getting on the Lil Aussie band wagon right now to make a buck!! His first time in the snow-he loved it!! One of our puppies sold to a kennel in Canada,he is a Champion already!! So Proud of Treasure,he is one of several of our pups that are already Champions!!
" MY GOAL IS TO RAISE HEALTHY, INTELLIGENT AND LOVING PUPPIES THAT WILL MAKE WONDERFUL PETS FOR DOG LOVERS,I TAKE PRIDE IN THE PUPPIES I RAISE AND WOULD NOT RAISE PUPPIES THAT I WOULD NOT WANT TO OWN MYSELF"